Are you trying to stick to a budget..? 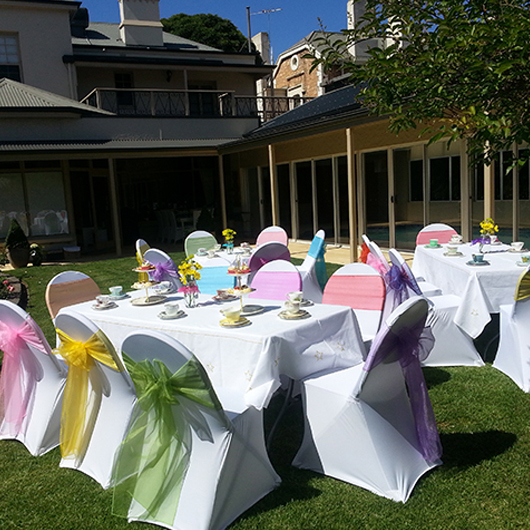 If you have the time and creative flair this service offers you an affordable solution, without sacrificing on quality. Yes, you will receive a complimentary fitting demonstration by me to help you achieve a stylish & professional look. Dawn’s DIY Service also includes a consultation and laundering. No bonds or deposits are required. 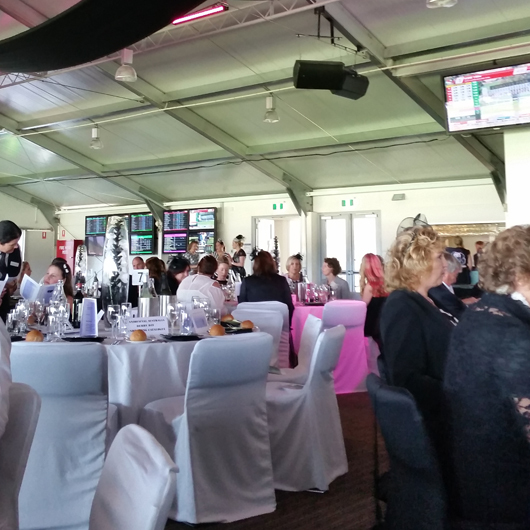 Client to pick up and drop off hired goods to Dawn’s Showroom located at Glenelg South, Adelaide. Not enough time…or creative flair? Dawn will do it all for you. Installations by Dawn are to a very high professional standard. Feel safe knowing I provide reliability & strong attention to detail. 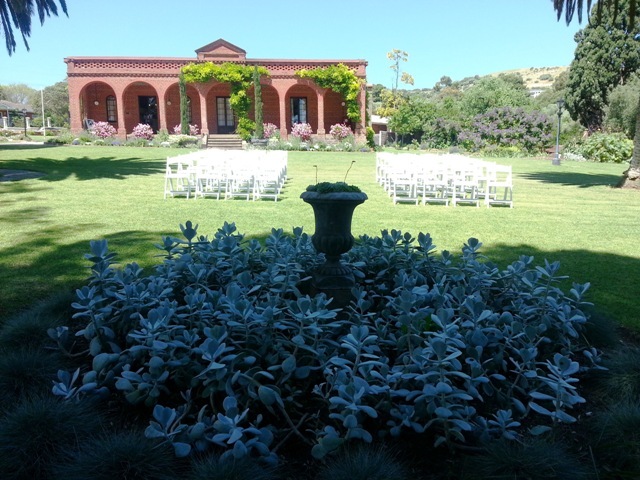 I will deliver a beautiful look for you always without sacrificing on quality. 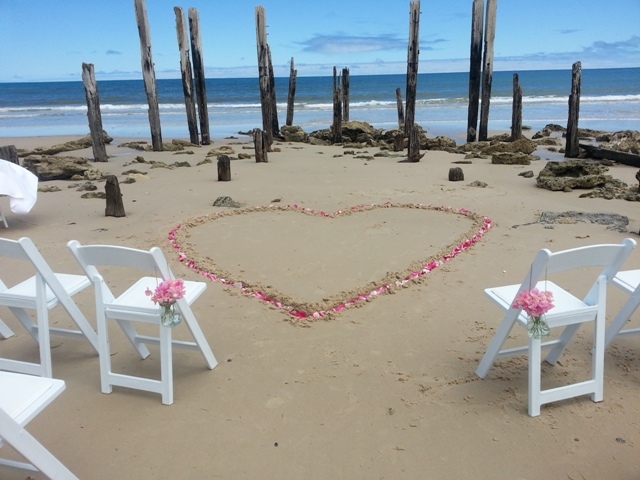 When imagining your wedding day and thinking about how you would want everything to look, chairs probably was not one of the first images to come to your mind. It probably wasn’t even in the top ten things that you may have thought about! 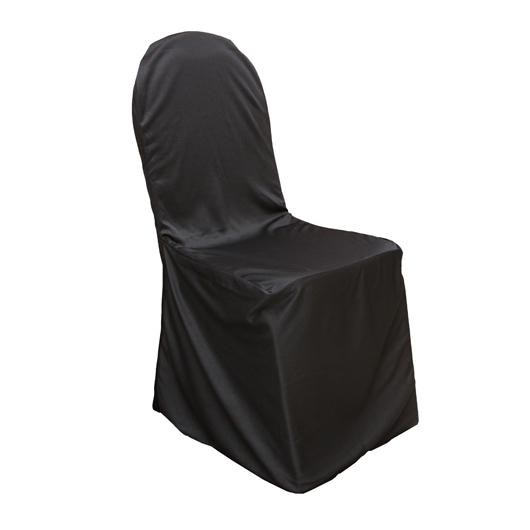 However, chair decor is a must have!!! so get them on your list! 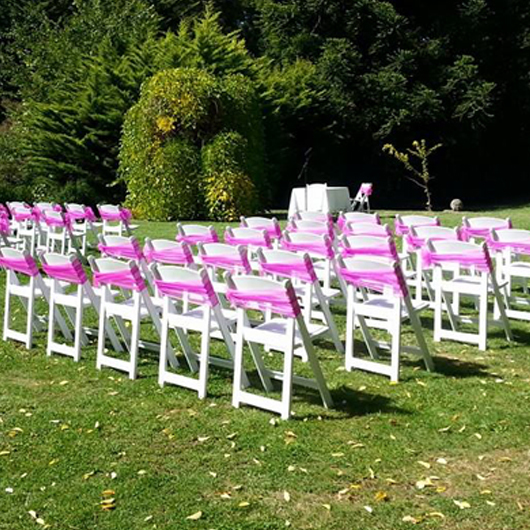 Wedding ceremonies that you want styled or want to set a special atmosphere/space, the most popular hire chairs are the Chiavari and Americana chairs. 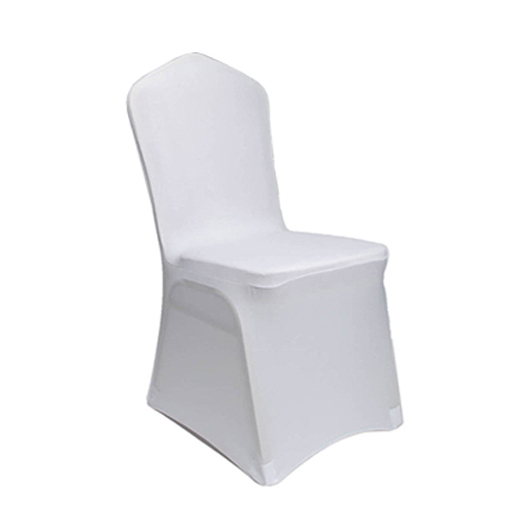 These two chairs are especially picturesque for your guests as they enter your event space. 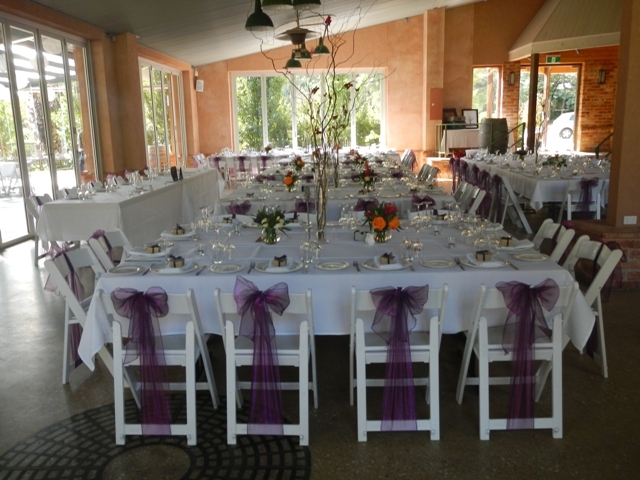 With the Chiavari/Tiffany and the folding Americana chairs it is very easy to add a special embellishment such as a floral arrangement, hanging decorations or a coloured sash as some extra decoration to tie the whole look of the wedding ceremony together. 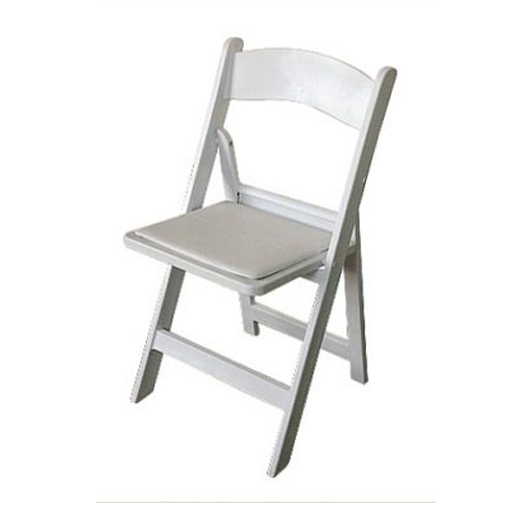 Chiavari Chairs and Americana folding chairs are also the most popular hired for wedding receptions. 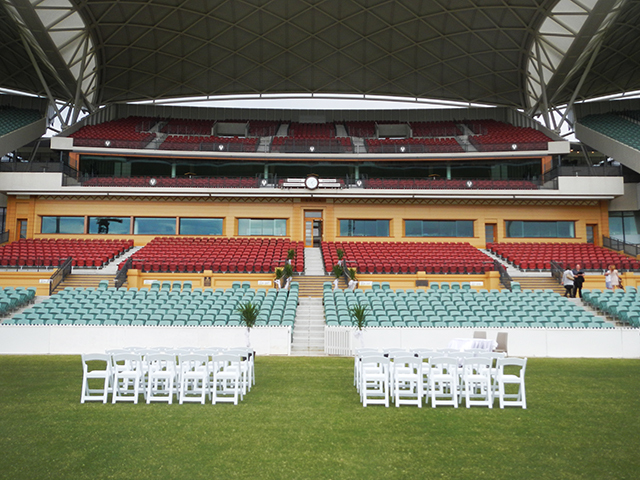 When these chairs are altogether filling a room, it sets a welcoming event atmosphere. 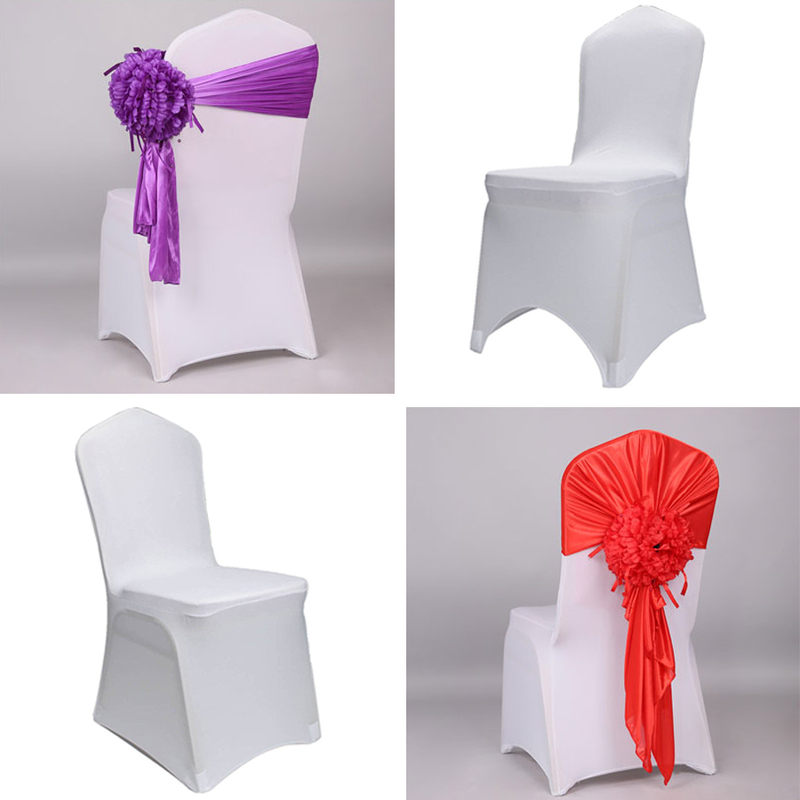 All your featured chairs being in unison colour is also a beautiful way to set a theme and tone to your event space. 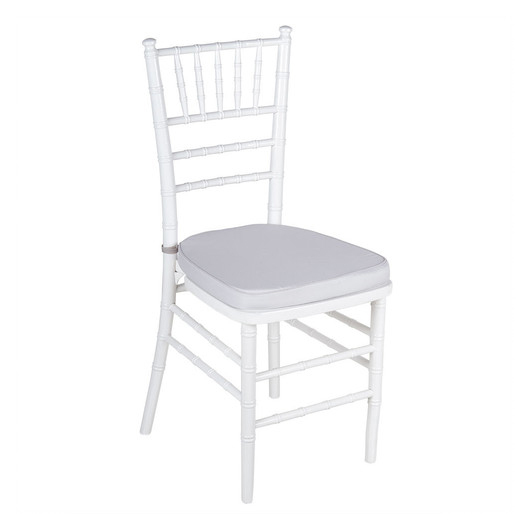 The Chiavari Chair is one of the most popular options when hiring for a reception or function event, not just for its elegance and classic style, but it’s also lightweight, comfortable & complete with a cushion too. 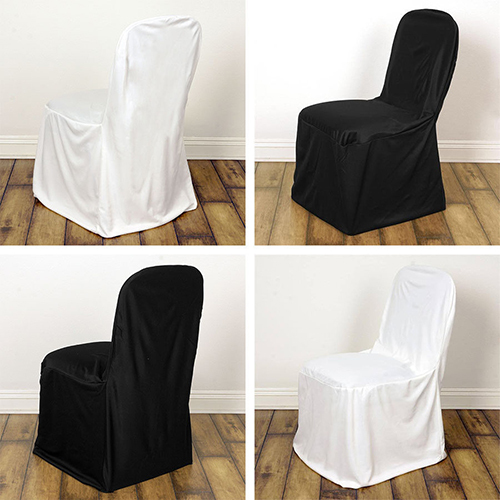 Lycra fitted chair covers fit tightly & snugly, like a glove beautifully over the most types of chairs. 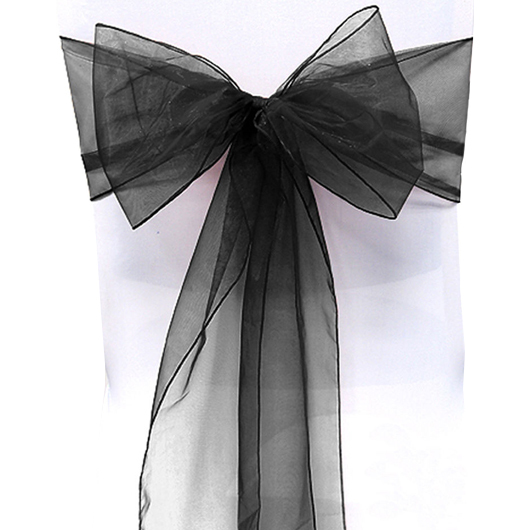 Stunning silky satin & shimmering organza sashes, available in over 46 colours. only $0.95 each to hire.